With over 100 years experience in car hire services, the Sixt rental car company ensures that customers will experience a comfortable and safe journey with our budget friendly car hire deals in Germany. Whether your travels take you across the vast reaching Autobahn or around the breath taking scenic route of the German Alpine Road, car rental in Germany is a highly recommended way to experience this beautiful country and with our simple and fast booking service, it couldn't be easier. For more information on planning your trip, driving information and money saving tips read on. Our Sixt stations are located in various areas including airports and train stations throughout Germany. Multiple stations can be found in the main cities such as Berlin, Nuremberg, Hamburg and much more. Customers can choose their own return locations within Germany to avoid the stress of rushing back to their pick-up location on time. We also like to make it easier for our customers to get the most out of using their rental vehicle which is why most of our stations will be in areas which have popular routes to recommended places to visit, such as historical and architectural locations. All of these must see places, you can find on our traveller map above, a great tool to use in planning your journey. To find out about what services Sixt can offer our customers who are wishing to rent a car in Germany please continue on reading. At Sixt we offer a vast range of vehicles ranging from family cars such as Saloons to group vehicles like a minibus depending on what our customer's needs are for their journey. If you wish to save money in renting a car then booking in advance is the best way of doing so. Upon booking, whether it's online or in person, you can choose additional services such as windscreen protection, Sat Nav, or extras such as a baby seat for those who are on the move with young ones or we can even provide winter driving equipment like snow chains and winter tyres for those who are wanting to make their way into the Bavarian Alps for a spot of skiing. To hire a car with Sixt you, the lessee/driver, must have a valid driving license and a form of identification such as an ID card or Passport upon collection of the vehicle. For non-Europeans, driving licenses will only be accepted if you have been within the EU for less than six months or there are no visas on your passport. If you have been within the EU for more than the six months you will need a valid passport from an EU country and for those who carry a passport that is not written in the Latin alphabet i.e Chinese, Arabic etc. you must present an international drivers license. If you are from a country which is not part of the International Drivers agreement then it is important to remember that a translated version of your license must be presented alongside the original. The minimum age requirement for car hire in Germany is 18 years of age however with Sixt, age restrictions may apply according to age and license. There is also a young driver surcharge taken if aged under 23 years of age. Finding out whether these issues apply to you or not will be available during booking. For payment of a rental vehicle, Sixt will accept the major international credit cards however we cannot accept pre-paid credit cards or debit cards such as Visa Electron. Payment must be issued in the name of the driver and the method by which the lessee has paid must be present at the time of collection. When payment is debited from your card it will include the price of the rental and any additional charges and extras that have been added. Any vehicles other than the premium 5/4 door manual cars can be paid for with a German Maestro/ Giro card, however, please note that these cards are not accepted for payment for long-term rental. In case of an emergency please ring the German emergency services on 112. Also, ring Sixt on +49 (0) 180 6269999. Driving in Germany can be a very enjoyable experience, even in the big Cities, due to the fact the highways are well kept and have clearly labeled lanes to ensure traffic flows nicely. German drivers are generally quite particular about sticking to the laws of the road which makes it easier and less stressful for visitors to manoeuver around. 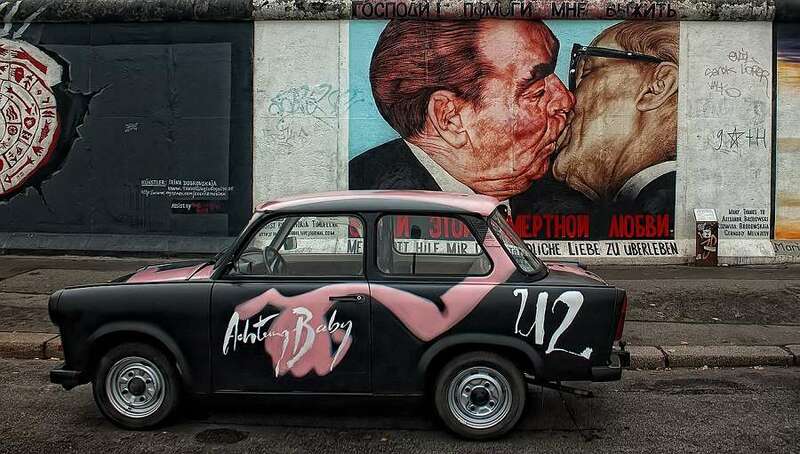 The following are some helpful tips to keep in mind if you are planning on driving around Germany. The Autobahns are highways made up of three lanes and highway signs are in blue. Each roadway will have its own speed restrictions so to avoid a speed penalty ensure you are driving at the correcting speed for that particular road. The following information will inform you of the current charges for each traffic violation in Germany. Breaking the speed limit is between 15-680 euros. Driving whilst under the influence of alcohol 500-3000euros and 1-month driving ban. Driving through a red light 90-630 euros. Using a mobile phone without a hands-free set 60 euros. Illegally overtaking another vehicle 15-680 euros. 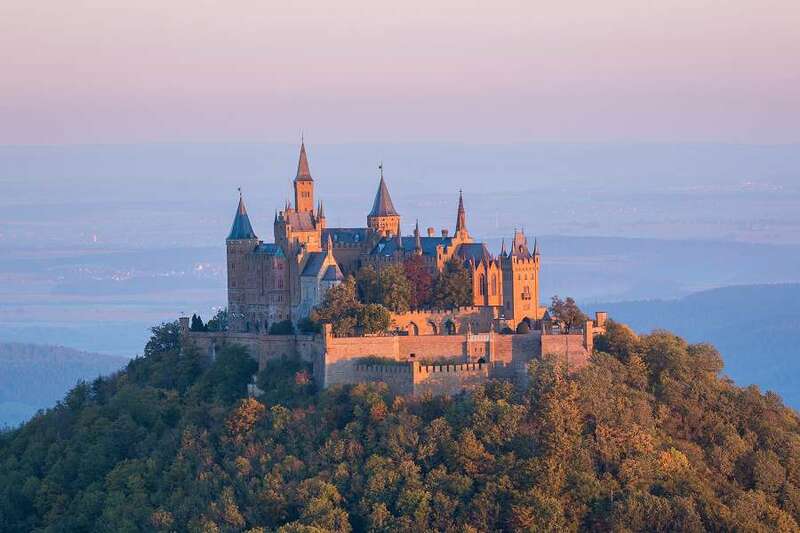 Germany has an abundance of places to see and visit. With its long history and beautiful landscapes its hard to not be impressed with what it has to offer. We have brought together a small selection of some of the most popular places to see. The UNESCO World Heritage Site of Cologne Cathedral will allow visitors the chance to experience the third largest Church building in the world, Cologne Cathedral won't disappoint with its stunning gothic architecture. Sanssouci Palace in Potsdam is referred to as the Prussian Versailles and is all about grandeur. 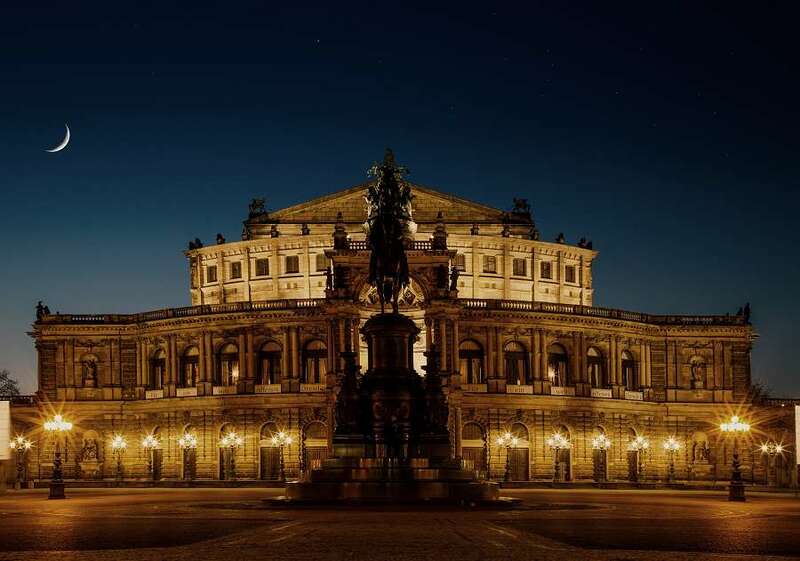 The Old Town of Dresden is perfect if you love architecture as it showcases some of the finest examples of Baroque structural design such as the Semperoper Opera House, Frauenkirche Church, and Zwinger Palace. If you prefer the outdoors, Germany has many options of beautiful parks and forests to explore. Jasmund National Park has lush greenery and boasts the most impressive white chalk cliffs. For hikers, the Saxon Switzerland National Park is a perfect choice due to the 36 miles of hills, mountains, and breathtaking views. The Volcanic Eifel is another interesting choice to consider with a various amount of volcanoes spread across the area, all of which are still active. Germany has always been a firm favorite with Hollywood directors for filming in due to its various cities and stunning backdrops. For movie buffs, this is the perfect opportunity to visit some of the most notable locations used in the history of film making. 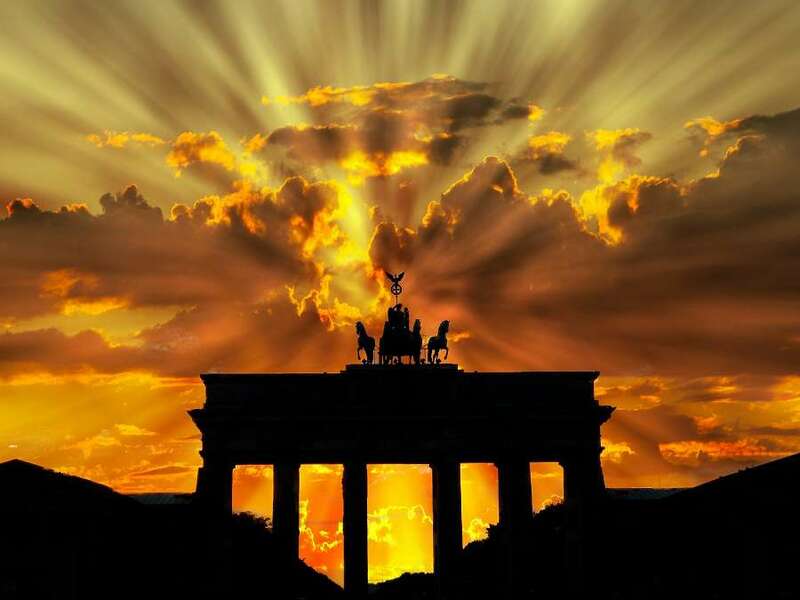 Berlin has been one of the most popular locations and blockbusters such as The Bourne series, Valkyrie and Hunger Games have all been filmed in the city amongst much more. Görlitz, Saxony is also a firm favorite with Hollywood with its picturesque and historical buildings. The Grand Budapest Hotel was filmed in the town as has various other movies by directors Quentin Tarantino, Brian Percival and Frank Coraci to name but a few. Depending on the vehicle you are driving you may be prevented from crossing certain borders. Italy, France, and Sweden are perfectly fine however the Polish border has certain car models which they will not accept in their country. Taking preventative measures before you travel will help to avoid any issues during your trip, please visit our Rental Information page to read more about this subject.